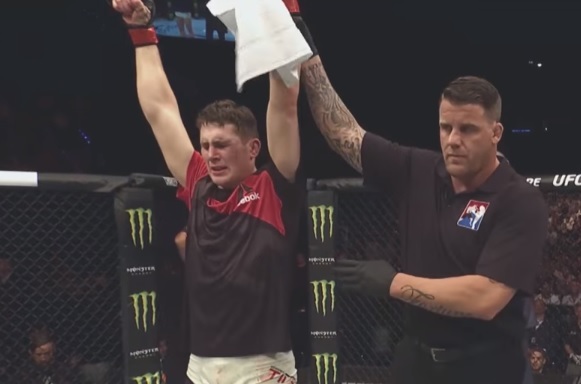 Darren Till recorded the biggest win of his career to date at UFC Fight Night 118, by taking out Donald Cerrone in the main event’s opening round. The much larger Till beat Cerrone to the punch in many of the early exchanges, who in turn, attempted to take the fight down. Till managed to keep the fight standing, however, and after he wobbled Cerrone with a hard left and elbow, he finished the fight with a swarm of punches. With the win, Till moved his overall record to 16-0-1. Here are the results from UFC Fight Night 118, which took place in Gdansk, Poland.